hd00:19Camping in nature, the travellers lit a fire, nature adventures, active recreation. 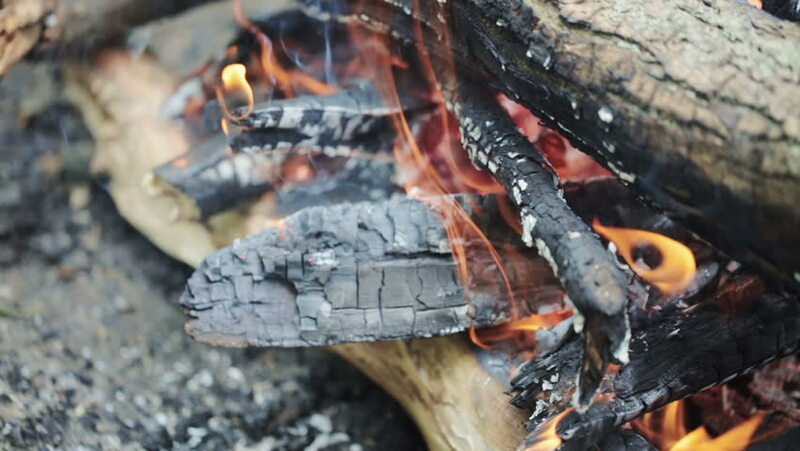 hd00:14Extreme close up of embers and burning wood block in fire pit. hd00:18Burn fire with wood. Hot fireplace full of wood and fire. Campfire embers burning. Campfire burning. Fireplace, branches of a fire. Fire with wood burned in the outside.